The minute that the engagement ring goes on the finger, most brides think about losing a few pounds. *Disclaimer: I am not a health professional. Please consult your doctor before embarking on a new exercise or diet routine. Monitor Your Food: Weight loss is about 70% based on having a better diet. There are many free websites, such as The Daily Plate or Spark People which can help you keep track of what you eat. They also make recommendations for weight loss daily calorie goals. If you monitor your food and force yourself to write it down, you might not reach for that second piece of cake. It provides accountability. Put Down the Fork at Restaurants: Restaurant portions are outrageous! I always like to eat about half of my meal, and save the rest for lunch the next day. By doing this, you’ll leave the restaurant feeling confident, in control, and NOT stuffed. Eat Better: Fruits, vegetables, whole, grains, lean meats; these are all your friends. Fruits and vegetables provide vitamins and minerals as well as fiber, which helps to keep you full. They are also low in calories. An added benefit to upping your fruit and veggie intake is that it often times helps to clear up your skin and increase your energy! Lean meats provide lots of protein to help build muscle and also play a role in keeping you full. Shop Smarter: Stick to the outside of the grocery store. This is where you will find unprocessed foods such as produce, meat, and dairy. Take the Stairs: Work exercise into your daily life. Take the stairs wherever you can: at work, at the mall, at the airport. Take a walk at lunch or after dinner. A reasonable goal is 10,000 steps per day. 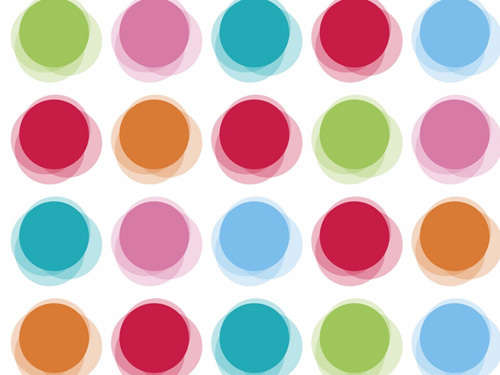 Get a pedometer and see how many steps you take. Find an exercise that you love: If you hate spinning or running, chances are you might find excuses to miss class or quit running after a block. Try something new like Zumba or Power Yoga. The more you enjoy your activity, the more likely you will be to continue your routine on a regular basis. Lift Weights:You can do the elliptical all you’d like, but if you are not challenging your body, then you are not maximizing your potential. Weight lifting builds lean muscle mass, which burns more calories than fat cells. 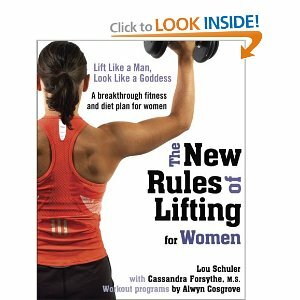 If you are new to weight lifting, I recommend looking at your library for books such as “The New Rules of Lifting For Women”. It has suggestions for simple exercises with dumbbells or a stability ball. Get Enough Sleep: I know that you’re busy planning your fabulous wedding, but take time out to get a good night’s sleep every night. It reduces stress and makes your body more efficient to burn fat. Also, if you are sleep deprived, you are more likely to reach for less healthy options to put into your mouth. Be realistic: Don’t plan on losing 100 lbs in the next 6 months. Heck, maybe not even in the next 9 months. A healthy rate of weight loss is 1-2 lbs per week. 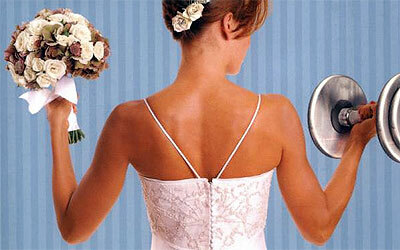 Remember, no matter how or if you try to get into Bridal Shape, your future husband loves you just the way you are. 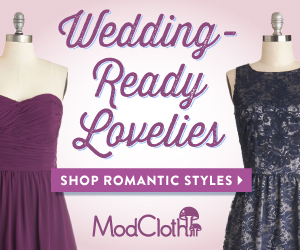 You are sure to be beautiful on your wedding day, with the love you share beaming from your face. Best of Luck! 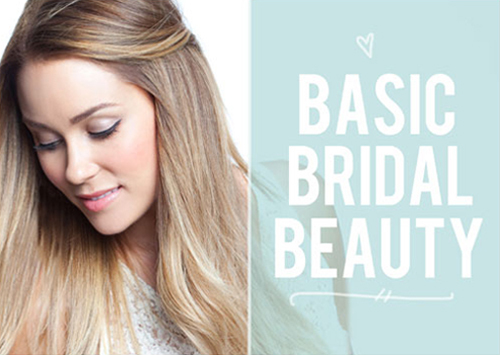 Wedding Makeup Tutorials Round Up!